The holiday season is here! 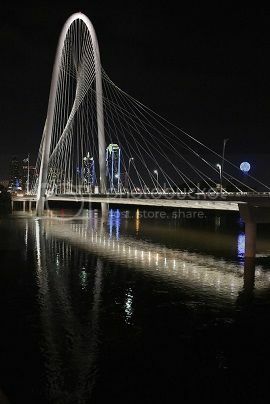 As always there is so much to see and do in Dallas, but we are just getting too old for the noisy, crowded bar scene. We wanted a place where we could enjoy our friends that we wanted to catch up and be able to have a conversation without shouting. 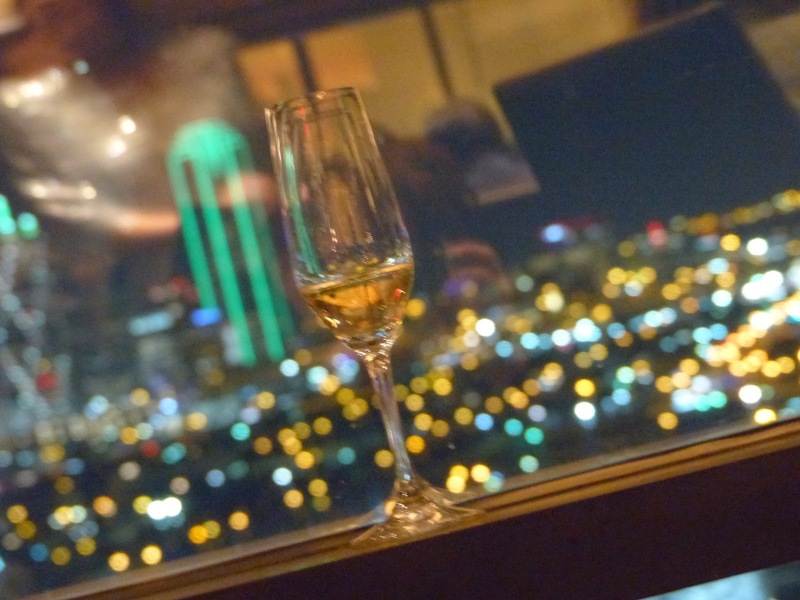 One of the most beautiful rooms in Dallas to do this in has to be SER Steak and Spirits located at the top of the Hilton Anatole. And now this gorgeous destination is offering a "reverse happy hour" Thursday through Sunday from 10pm to closing. Our Lifestylist® decided to check it out last week, and we've been anxiously awaiting tonight to try it out ourselves this week. 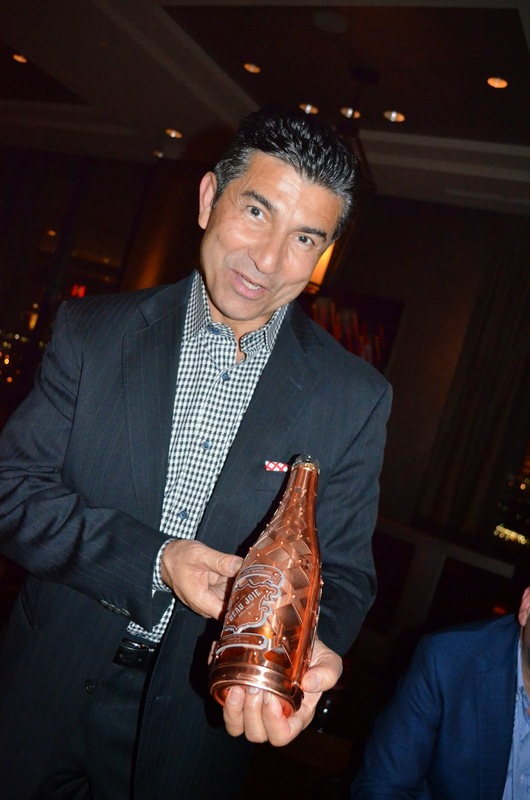 The food was perfect - sharing sized nibbles that we all tried and passed, wonderful wines, and we really celebrated by trying out a champagne that we've heard a lot of "buzz" about - Beau Joie. Beau Joie (beautiful joy) is being offered for the first time in Dallas at SER and the Hilton Anatole. 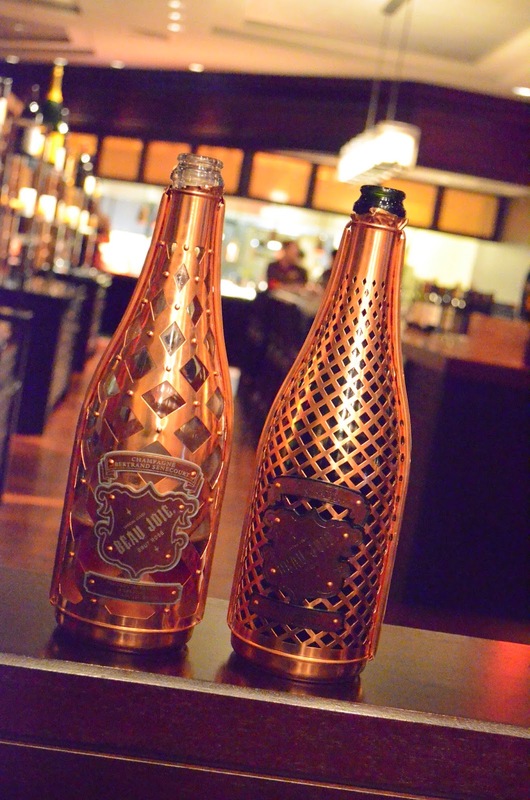 It's distinctive copper wrapping looks like a suit of armor, and was designed to help keep the bottle at the proper temperature after being served at your table. This was such a fun find for us, and it's the perfect way to start or end a special evening. And the live music... WT Greer is at the piano performing. The perfect background music for this elegant spot. For more information, Visit the SER website.